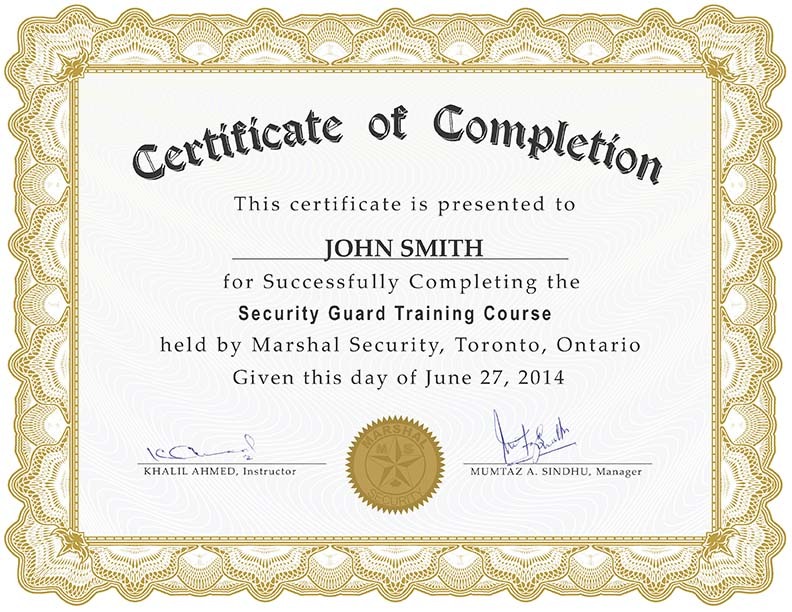 Marshal Security is Ontario’s best security guard online training centre, and approved training provider. We prepare our students to write and PASS the Ontario Security Guard Test as required by the Ministry of Community Safety and Correctional Services, in order to acquire the mandatory Security Guard License. A great number of students have already experienced the convenience and flexibility the on-line security guard training program has to offer. 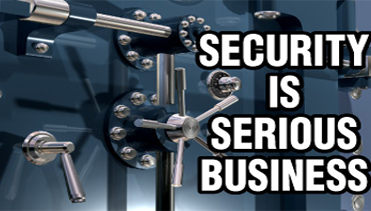 Marshal Security is best choice for individuals looking for affordable training in the security field. With the ease of online study, our 40 Hour Mandatory Security Guard Course prepares you for a high demand, money making career in the security and loss prevention fields. Created by industry experts, this comprehensive course can teach you the skills required to take the necessary steps toward a rewarding and much demanded career. 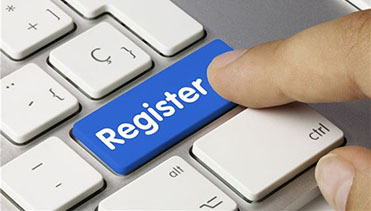 Upon registration, the student is given a user id on Marshal Security’s website. This allows a student to get access to all the study materials on the website right from the day one. The student will start his/her study from the first module. After watching the video lectures in unit 1, he/she will have to review it by reading the class notes in unit 2. After finishing unit 2, he/she will have to complete the quiz in unit 3. After finishing the first module, the student will move to the 2nd module and so on. If there is an assignment in a unit, the student will complete it and will send it to the instructor for review/grading. After the completion of 12 modules, the student is required to take Participant’s Manual Practice Test. Then, after the completion of online training, and in order to prepare for license exam, the student is recommended to complete the additional practice tests / mock tests that are also available online. a student can take the test either in practice test mode or a mock test mode. In practice test mode, a student will be able to see the correct and incorrect answers just after answering any question; while in a mock test mode, the correct and incorrect answers will be graded and shown only after the completion of the test. every time a student attempts a test, the question order of a test will change randomly. This way, the student gets more learning as he/she will not be able to memorize the question order and the answers. At any stage, if student feels to revise a part of a course, he/she can directly jump to that part in Learning Management System (LMS). Since all the study material is also available under other menus, he/she may also access it directly. Somewhere during the course, the student will have to complete a requirement of Emergency First Aid & CPR training. This is in-class training, and is offered every week. If you signed up for a course without First Aid & CPR training, you must submit a copy of your valid Emergency First Aid & CPR certificate to Marshal Security. Please make sure that the First Aid & CPR provider is approved by WSIB. 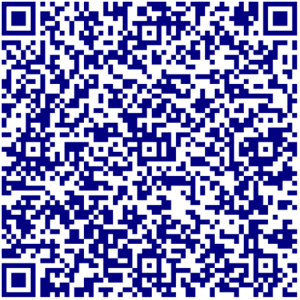 After the completion of the training, the student will receive a training completion number by email. The student will use this number to book and write a Ministry Exam. After passing Ministry Exam, the student is eligible to apply for a Security Guard Licence. Note: At the end of the course (one week after the registration), the student will be provided a Training Completion Number through which they can register at Serco DES Inc. website for a Security Guard Licence exam (the exam fee is $66.5 + HST). 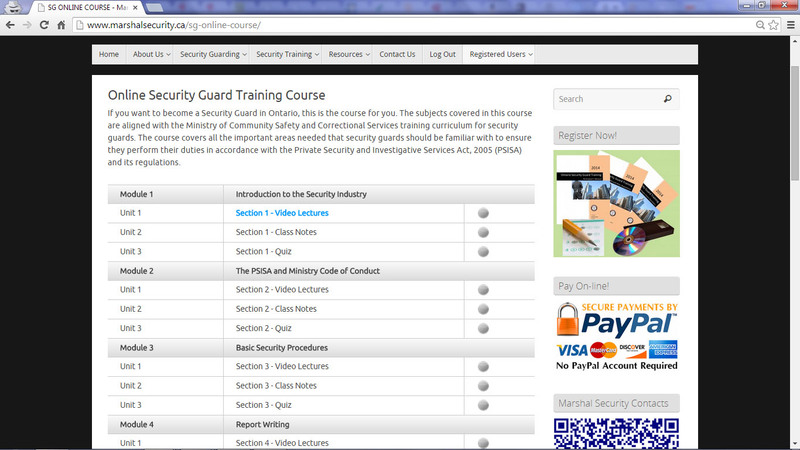 Once a student pass the test, he/she may apply for a Security Guard licence at the Ministry’s website. At the end of the course, the student will also be provided a Training Completion Certificate. You can complete your program in as little as 5 days or take as long as 4 months if you prefer. The cost of the Marshal Security Guard On-line Training Course, including Emergency First Aid and CPR training Level C, is $199.99 + HST. The First Aid and CPR training is available only in-class. The cost of the Marshal Security Guard On-line Training Course is $139.99 + HST. This cost DOES NOT include First Aid and CPR training. 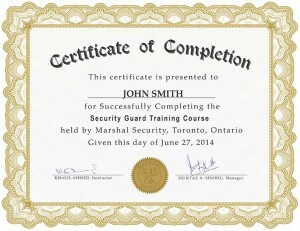 Marshal Security conducts the Emergency First Aid & CPR classes at their offices located at Mississauga and Toronto. 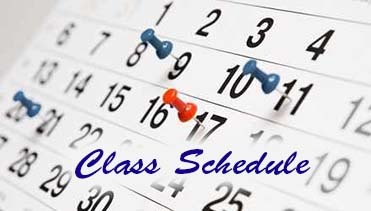 Usually the class are held on Thursday or Saturday morning. However the schedule may change depending on the requirement. 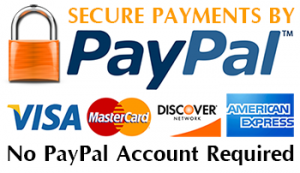 The fees must be paid prior to the course date. The First Aid & CPR training is mandatory. 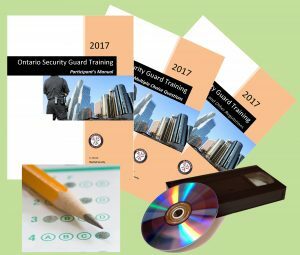 In order to complete a Security Guard Training, the student must either complete this training at Marshal Security’s office, or provide a valid certificate from a WSIB approved training provider.